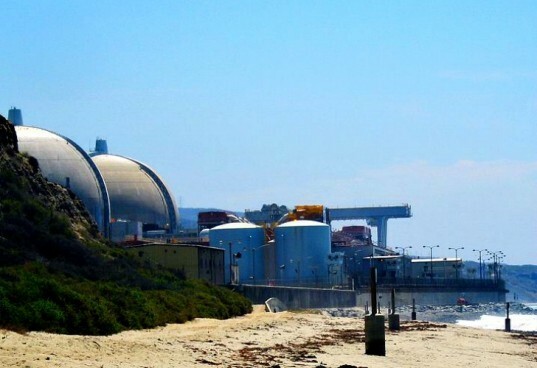 On Tuesday afternoon, operators detected a leak in a tube housed in the building next to one of the reactors at the San Onofre Nuclear Power Plant in Southern California. Crews are reported to have immediately taken action to manage the leak, although a small amount of radiation was released. Officials are promising the amount of radiation emitted was negligible when compared to background radiation levels. Nevertheless, the leak prompted the entire reactor to be shut down to determine the source its and repair it. Southern California Edison claims that there was no threat to the public or their plant workers, but we can’t deny our concern over the safety of the almost 30-year-old nuclear power plant. San Onofre Nuclear Power Plant is located right on the coast in between San Diego and LA to the west of I-5. A very popular state beach and surf break sits just to the north of the power plant. The plant currently consists of 2 reactors, which when operational have a capacity of 2.35 MW of power. The other reactor was shut down for scheduled maintenance and upgrade on Wednesday. Although the crew apparently took appropriate actions to remedy the situation, it is frightening to ponder what could have been had the leak been more serious. 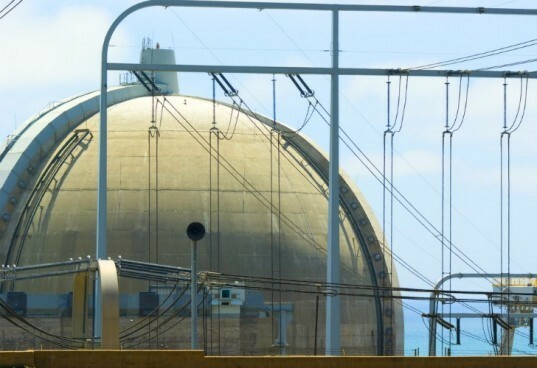 On Tuesday afternoon, operators detected a leak in a tube housed in the building next to one of the reactors at the San Onofre Nuclear Power Plant in Southern California. Crews are reported to have immediately taken action to manage the leak, although a small amount of radiation was released. Officials are promising the amount of radiation emitted was negligible when compared to background radiation levels. Nevertheless, the leak prompted the entire reactor to be shut down to determine the source its and repair it. Southern California Edison claims that there was no threat to the public or their plant workers, but we can't deny our concern over the safety of the almost 30-year-old nuclear power plant.